The computer operating system in order to boot needs an active and bootable hard drive partition. 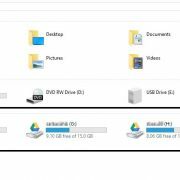 For example, you want to create a bootable USB drive to install Windows 7,8, or 10 without the help of any external software then you can simply use the command prompt. 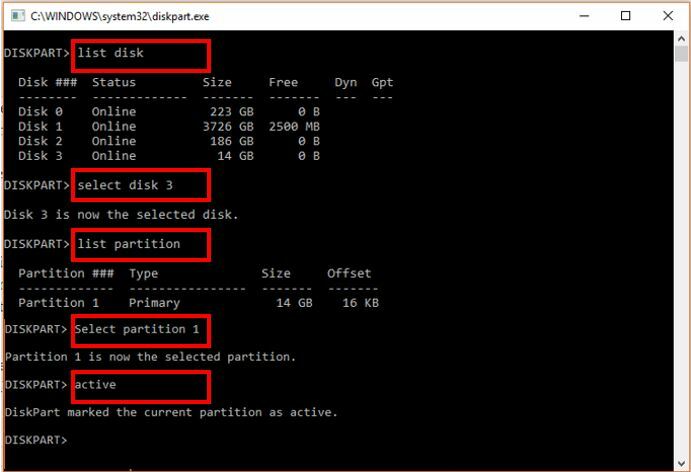 The tool or command used to create a bootable partition is DISKPART and it is not limited to the USB drives; you can also create an active partition on the hard drive installed on your computer. A Boot partition in windows is nothing but a partition that stores or holds mandatory files for the operating system to run properly. You have to make partitions for each Windows operating system that you install. And it can be done easily with the help of several commands run under the DISKAPRT which is a command line Disk management system of Windows. Windows 7 or other versions like Vista can be used to differentiate windows partition and boot partition. Partition actually contains files that are required to start the windows system. Note: Only one partition on each hard drive can be set as an active partition or bootable partition. You can mark any partition of Windows 10,8.7 & XP system as active partition, however, here we are going to use a USB drive. We will set the partition of USB active and bootable. The steps are the same for the installed hard drive partition of a PC. Step 1: Open command prompt in your windows system. Step 4: After performing the third step, you will be able to see the list of available disks. Choose the disk that you want to use a partition. Step 5: Enter “select X”; X is nothing but the number of disks that you want to use. Step 6: Press “enter” in your keyboard and type the below-given commands depending upon the type of partition you want to create. create partition primary size=SIZE_IN_MB :Command to create a primary partition. Note: Size_IN_MB is nothing but the size of disk partition that you want to create in megabytes, so while running above command replace it with value or MB you want to assign a partition. Step 8: After creating a partition Type: assign letter=H this will assign drive letter can give the partition a name. Step 9: Now run command list partition and press the Enter button. All the partition available on the drive will show now. Note: Replace the X with the number of partition 1, 2,3 or whatever appears on your screen. Step 11: After executing all the above steps correctly, run the command active this will mark your partition active and bootable. 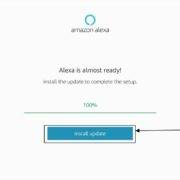 Restart your computer after implementing. 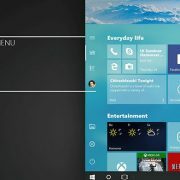 In case you have some boot partition problem now the Windows will start normally after making these changes. We hope these instructions will allow you to complete the boot write up easily without facing any hassles. Note: If you have booting problem then you can access the command prompt by pressing F8 right after turning on the computer. How to Reinstall Windows 7 from USB or CD? 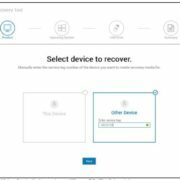 How to download and use the Dell OS Recovery in Windows 10?